Starting your own bookkeeping business is solid way to make money working from home. Small business owners who are not in a position to hire a full-time staff will delegate their bookkeeping tasks to independent contractors when they don't have the skills or time to do it themselves. If you have the skills and are fast and reliable, then you might find yourself overflowing with work. 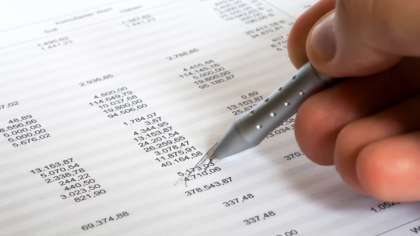 You can use your degree in accounting to start a bookkeeping business. If you don't have an accounting degree or background, you can take bookkeeping courses at your local community college or online through a distance learning course. If you're talented with finances and record keeping, or have done work in this area for an employer, you may only need to pick up a good book on bookkeeping to get started. Establishing your bookkeeping business will take some time, but the process speeds up when you focus on a niche. Decide which clients you want to serve and the size of the businesses you'll market yourself to. You can base your decision on your interests as well as your ability to deliver the services you're contracted for. You can also focus on specific services you'll provide, from minimal data entry to creating complex financial statements. The typical rates for bookkeeping services range from $20 to $40 per hour. Rates depend on your level of education, the market you serve and your experience. Research the rates of your competitors, and survey potential clients to help you determine a rate. Some business owners may pay for the software needed to keep records for their business, or provide you with a login and password for an online program. You may also need to pay for internet access, a domain name and hosting fees if you plan to market and deliver your services online. Setting up a blog or website using a publishing program like WordPress is straightforward, and can be used to reach local and global customers who need help keeping their books. Finally, you can bid for bookkeeping projects by registering with various websites that connect small business owners and independent contractors. Many provide this service for free, but others may charge a small fee. To market your bookkeeping business, you must have a presence in the small business community either locally or on the internet. If your niche is to serve local small business owners in a particular industry, then join or attend meetings of the trade organizations or associations that serve those business owners. Hand out business cards, brochures and other marketing materials. If you plan to market yourself online, then participate in forums, get listed in directories, leave blog comments and find ways to engage in the small business community online. You can start your bookkeeping business quickly if you already have the experience or training. The start-up costs are low, and if you market yourself well and everyday, you can turn a profit within 6 months. In order to improve your skills and land more clients, consider offering your services for free to your church or favorite charitable organization.